August | 2016 | Nicholas Hoffman & Co.
“A joyous day”; what a nice phrase I thought. I have to admit I do not hear that one often. Most of the time I hear the trite “have a nice day” maybe once in a while a “take care” but never “have a joyous day” coming from a stranger on an elevator. As I rode the next three floors I thought about what that sandal-clad woman said to me. The fifteen seconds it takes to go three floors was not enough time to do justice to these words of wisdom. I could not get the phrase out of my mind. I got to my desk and wrote the word joyous down and started thinking about it. Being at work and thinking about being joyous seemed incongruous. Can work and this term possibly coexist? The big components of our lives are usually work, family, relaxation, and solitude. Most of us know that family can bring a tremendous amount of joy. Watching children grow and achieve in their schooling, careers, sports, or anything else can create tremendous amounts of joy for us. That same sense of happiness for many is found in their faith or in the solitude of their own thoughts, but joy and work? Few of us apply that standard to the normal work day. I have counseled many young adults that if you are not happy doing what you are doing for a living, you should find something new. When work is no more than “work” finding joy in it is hard. If you are happy and fulfilled in your labors are you not joyful? The stranger in the elevator was right. I should strive to have a joyful day at work. My definition of joyful might mean helping one client understand something better or finding thrill in a new investment opportunity. Perhaps it’s the mentoring and giving back to the next generation. A joyous day does sound like a good idea and with the right frame of mind is very achievable. 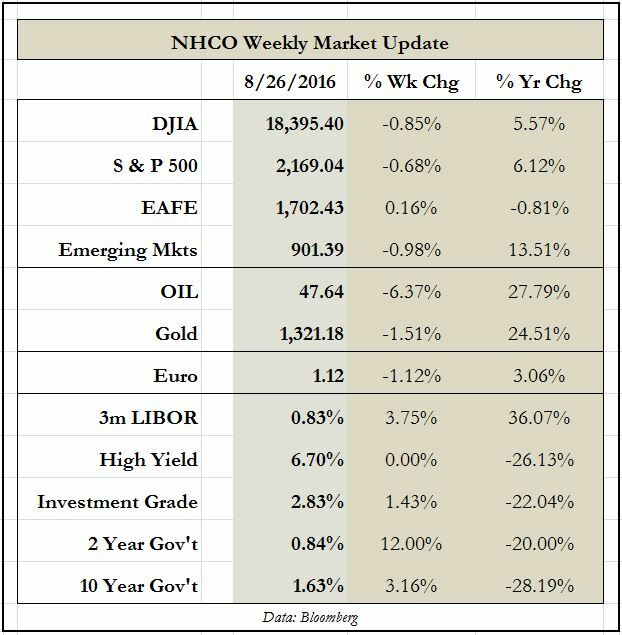 This entry was posted in The Weekly on August 29, 2016 by nhoffmanandco.